Have you ever tried to punch cheat codes into a video game hoping to unlock unlimited weapons or firepower? Well, the Corps’ new futuristic sea drone may do just that. Marine officials told industry leaders June 6 that the sea drone, called the MUX, will not need to carry as many weapon systems or missiles because the drone will have the ability to cue the weapon systems of other ships and aircraft in the area. That capability will make it one of the deadliest hunter-killer drones in the sky, able to locate a target at sea and cue a weapon system from another networked ship or aircraft to destroy it. The MUX will not be able to fire the weapon system but “MUX will, however, be able to communicate with these systems through digital interoperability to ‘cue’ (or guide) the weapons onto their designated targets,” Marine spokesman Capt. 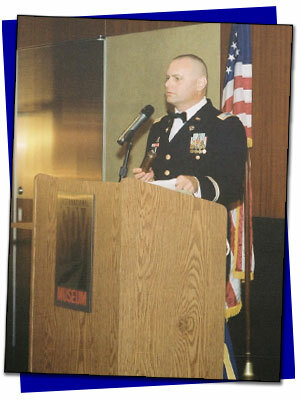 Christopher Harrison clarified for Marine Corps Times. 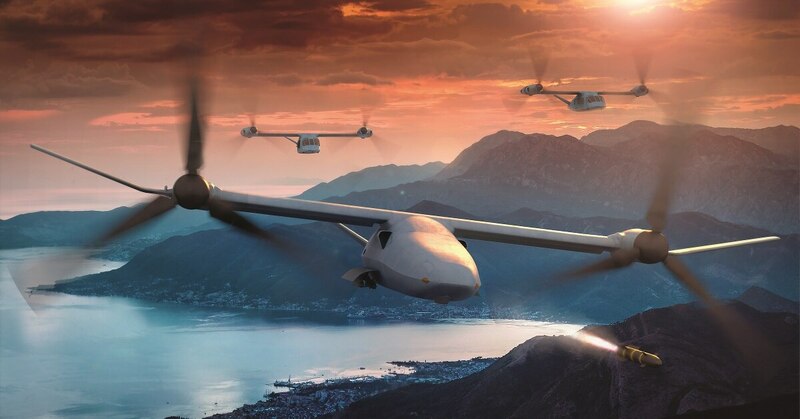 The Corps is in the works to develop a long-range futuristic drone that can land on L class amphibious ships and is capable of airborne early warning, communications relay, electronic attack and strike. The early June industry day event allowed the Marines to hash out its wish list with industry leaders and gauge the overall feasibility of some of the Corps’ grander aspirations for its futuristic sea hunting drone. The Corps’ primary desire is that its drone come with airborne early warning capabilities, which will allow the Marines to distribute its forces across the Pacific. Without that capability, the Corps will be tied to the E-2D Hawkeye and the aircraft carriers they are launched from. 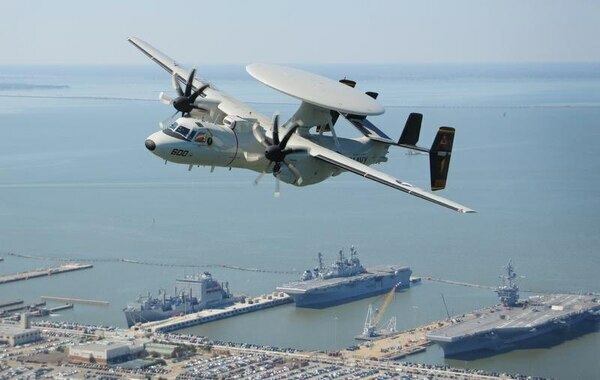 The E-2D provides an airborne early warning capability for the Navy and its carriers. But aircraft carriers are not part of an amphibious ready group, which Marine Expeditionary Units generally deploy with. The MUX as an airborne warning platform will allow the Marines to operate independent of an aircraft carrier. What the Corps doesn’t want in its future sea drone: The same old Reapers and Predators that have filled the skies over Afghanistan and Iraq the past 17 years. “We are talking about long range, wide area, persistent stare, looking at the maritime domain, looking for surface contacts,” Adams said. But with all the bells and whistles the Corps wants in its new drone comes weight and fuel considerations. One way to reduce weight is to limit the payload and missiles hanging off the aircraft. “Having a bunch of weapons on the MUX can limit payload and airspeed,” Adams said. Being able to cue weapons from other networked ships or aircraft in the region will mean the MUX can lighten its payload while still being able to hunt and kill targets at sea. The MUX will be the Corps’ first group five drone. The Corps operates a series of smaller drones like the RQ-21 Blackjack but has no experience operating group five drones like the MQ-9 Reaper. To plug this gap, the Corps has been sending Marines to train with the Air Force on the Reapers to build experience before operating its own group five drone.